You were raised in a family of tea enthusiasts. Can you share one of your earliest tea memories with us? I remember the first time my dad shared Laobanzhang pu’er with me. I was in high school (going through a matcha craze!). He brought home a tea cake and began to loosen a few grams of the pu’er while telling me how precious this tea was. As he brewed in the traditional gong fu style, he let me smell the fragrance of the tea, which was rich in honey notes. As we sipped away the tea over a 3-hour long session, my dad asked, “do you feel the chaqi of this tea?”. Unfortunately, I could not, or rather I did not even know what I was supposed to feel. Why couldn’t he describe the tea in a “normal” way using flavors? I do cherish this memory as my father’s way of sharing his love for both tea and me. Why did you decide to start Mansa Tea? Despite having lived in New York for a long time, I did not know where to go to get quality pu’er. Fortunately, I’ve never had to myself as my father always brought tea for us. But whenever I was asked by friends and acquaintances, I did not have an answer. Then, I saw how third wave coffee drastically changed the coffee scene, yet people were still drinking bad tea. I wanted to be part of the third wave tea and bring that change. How do you choose the teas that you sell? First, we source and import our own teas, which are selected from the finest terroir and handpicked from 100+ year old trees located on historic tea mountains. We carefully age our teas and conduct extensive tastings to pick out the teas that are at their peak of flavor and maturity. For example, the young raw pu’er teas in our Jade Pu’er collection have been specifically selected because they are not as bitter as other young raw pu’er teas. What tips do you have for someone just getting into pu’er? Where should they start? I suggest trying different types of pu’er (young raw pu’er, aged raw pu’er, and ripe pu’er) from a trusted source to find out the type of pu’er you like best. Based on our many tasting sessions with different people, the outcome tends to be based on personal preferences. 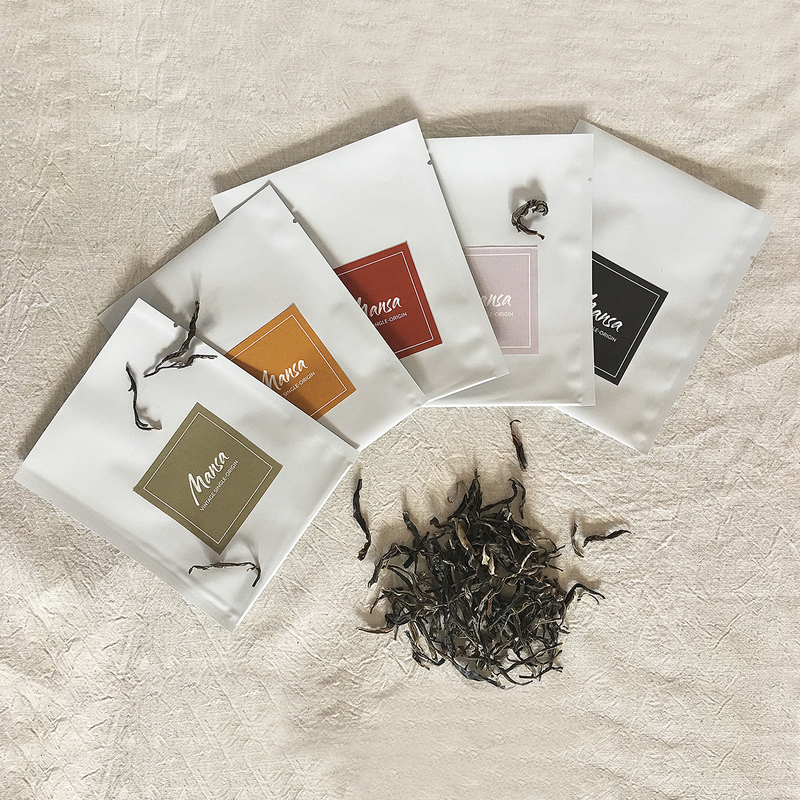 We designed our Taste of First Step set based on this experience and also added an aged white tea and a dark brick tea to give a bit broader overview of the aged tea world. To follow that question, what tips do you have for someone that enjoys pu’er and wants to deepen their knowledge? I would start doing more comparative tastings that allow you to compare tweeze out the differences between the teas more easily. For example, compare two teas from the same terroir but from young vs. older trees, or both from the ancient trees but one from Yiwu vs. Bulang mountain to get a deeper appreciation of the flavor profiles and mouth feels. I know you’ve done a few pop-ups lately; do you have any tea events coming up that we should know about? Yes! We have a Mother’s Day Miansai x Mansa Tea pop-up at Miansai’s Soho flagship store on May 4-5. Miansai is a an artisanal jewelry brand with retail shops across the US (NYC, LA, and Miami). 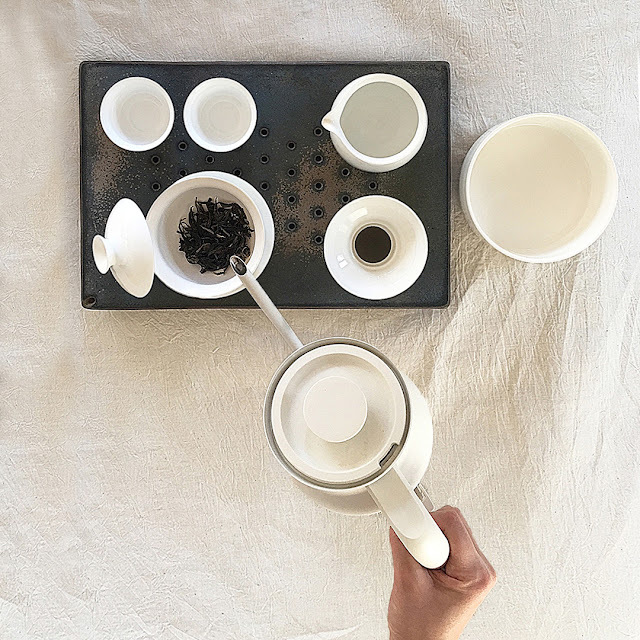 Mansa Tea will be taking over the tea bar that is located at their SoHo retail shop for two days to offer brewed teas as well as our prepackaged collections. We also have a few more that are being planned as we speak, so stay tuned for more by signing up for our monthly newsletter at mansatea.com or following us @mansa_tea. What is your vision for Mansa for the future? We want to introduce high quality aged tea to tea connoisseurs so that aged tea becomes a major tea category that is as well known and loved as green tea, black tea, and matcha. 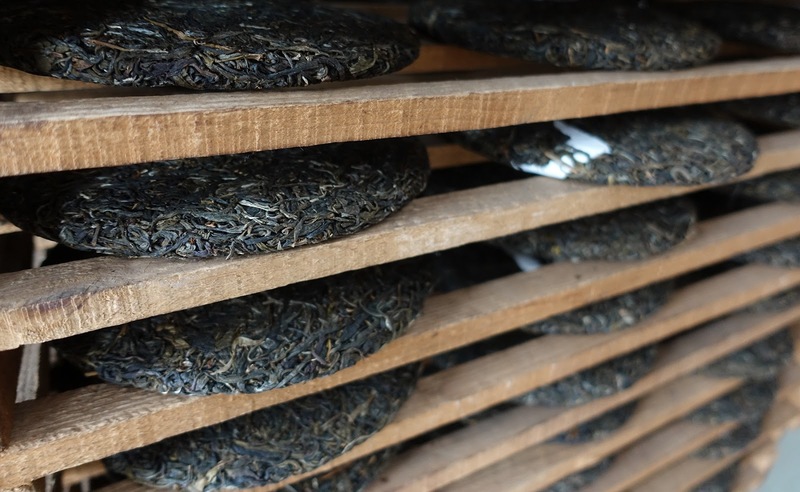 Can you share one rewarding thing, and one challenging thing about running a tea company? The most rewarding: Sharing my passion for single origin aged tea with others. Last weekend at the Coffee & Tea Festival, one of the attendees said, “Wow! 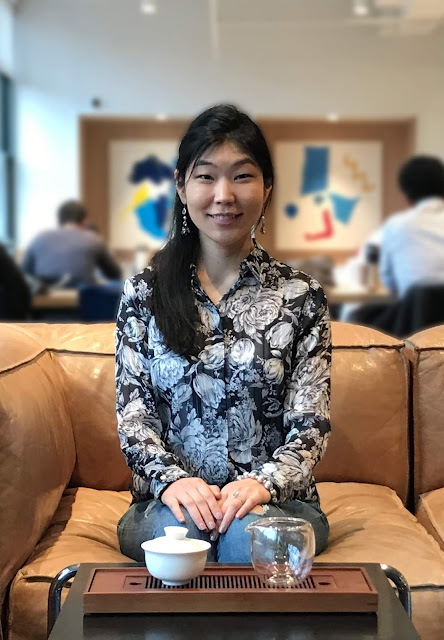 I usually do not like pu’er tea, but I really like your pu’er tea.” Pu’er tea is a tea that needs a proper introduction with quality leaves that are aged and brewed carefully. Changing a person’s perception by sharing my passion is very rewarding to me. The most challenging: Raising the broader level of tea education. Compared to other beverage items, such as wine, beer, cocktails, and coffee, tea has been lagging behind in terms of quality and education. The food and hospitality industry has been deprioritizing tea in favor of other food and beverage items and cutting cost and quality on their tea selections. This has been slowly changing, but we still have a lot to go. Tea education is something I spend a lot of time doing and also enjoy doing as part of my journey. I actually love brewing aged tea throughout the day using a gaiwan. I begin my first brew in the morning (or sometimes in the afternoon on the days I decide to start my day with coffee) and rebrew the leaves throughout the day. I strongly believe that using a gaiwan changes your relationship with tea. This statement may sound odd to those who do not use a gaiwan, but I am sure those who already use a gaiwan are nodding with me right now. Thank you so much Ashley for taking the time out for this interview! 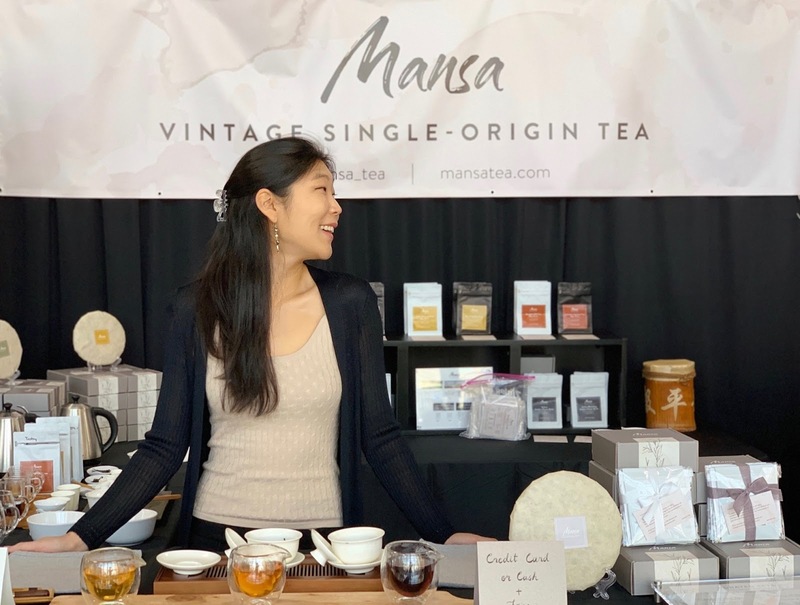 To learn more about Mansa Tea, be sure to check out their website. This is a great interview and I am inspired to purchase some Mansa tea. Thank you for introducing me to this company and person! Thank you Lynn! Hope you are well!